"Delicately surreal." A new trailer has arrived for a film titled Violet, from Flemish director Bas Devos. The film tells the story of 16-year-old Jesse, as played by Cesar De Sutter, who is the only one to witness the stabbing of his friend. But now he has to face his family and the friends in his BMX crew to tell them about how he really feels. Violet first premiered at the Berlin Film Festival in 2014, three years ago, and is just now being released. It won the Grand Prix prize at the festival then, for "its abstract exploration of emotions following a tragic death and because of its exquisite sculpture of cinematography, sound & story." See below. 15-year-old Jesse (Cesar De Sutter) is the only one who witnessed the stabbing of his friend Jonas. Now he has to face his family and friends form the BMX riders crew and explain the unexplainable - how he feels about it. 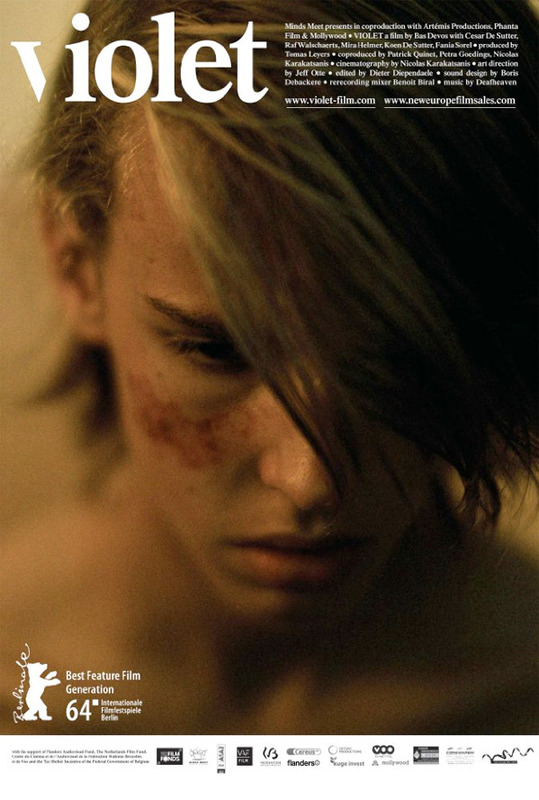 Violet is both written and directed by young Flemish filmmaker Bas Devos, making his feature directorial debut after a few short films previously. The film premiered at the Berlin Film Festival in 2014, a few years back, and won the Grand Prix top prize in the Generation 14plus category. Ryan Bruce Levey Film Distribution will finally release Violet in select US theaters starting May 12th this year. Anyone interested?